The following terms and conditions of Enrolment relate to all domestic/Australian fee for service students applications for study at Australian Professional Skills Institute. They must be read, understood and accepted by the applicant or any person acting on their behalf including education agent or parent/guardian if the applicant is under 18 years of age. The applicant acknowledges all information and supporting documents provided in the application is true and accurate. By signing the student application form or confirming the student application, the applicant enters an agreement with APSI and accepts the following terms and conditions including refund policy of APSI. This agreement and the availability of complaints and appeals processes do not remove the right to take further action under Australia’s consumer protection laws. APSI’s dispute processes do not circumscribe the applicant’s right to pursue other legal remedies. If the student chooses to cancel this agreement before completion of the course, student may be entitled to a partial refund of the course fee paid in advance. Course fees do not cover other charges such as registration fee, resource/material fee, textbooks, uniform and miscellaneous fees. Please refer to APSI fee schedule for details. If the student is deemed Not Yet Competent after two attempts or misses the scheduled class listed on their timetable, the student is required to discuss with the course co-ordinator to re-sit the whole unit. Please refer to miscellaneous fees and charges for unit re-sit. Payment of fees is required on or by the due date as notified in writing by APSI or as per student invoice. Late payment fees of $50 per week will be applied to all late payment. Please refer to miscellaneous fees schedule. All course fees are non-transferrable except in cases of documented ill heath and may only be transferred to other courses within APSI or at the discretion of APSI’s management. APSI reserves the right to accept or reject any application for enrolment at its discretion. APSI reserves the right to cancel any course prior to the commencement of the course should it deem necessary and a full refund of all payments will be given to the applicant. APSI reserves the right to withhold granting any Award or Statement of Attainment attained by the student if any outstanding fees. Students are required to pay the fees according to student invoice fee due dates including public holidays, semester break or workplace training period. APSI withdraws offer or fails to provide program offered or terminates an Education Service After course commencement date Full refund less pro rata of tuition fees used calculated on a weekly basis. Note: All domestic students are allowed to pay the tuition fees in monthly instalments and each instalment payment must be less than $1500. Following course commencement, APSI may require payment of additional fees in advance from the student but only such that at any given time, the total amount required to be paid which is attributable to tuition or other services yet to be delivered to the student does not exceed $1500. Notification of cancellation must be submitted in writing by using the APSI Course Cancellation and Refund Application Form. Refunds are made in accordance with the refund policy above and refunds will be made payable to the student and nominated bank account via bank transfer within 14 days of receipt of the notification. Refunds will only be made to the applicant or other names nominated on the Refund Application Form. Other fees paid in advance such as resource fee will be refunded in full if that service has not been used. A notice of withdrawal due to illness or disability, death of a close family member, political or civil event that prevents acquittal may be accepted as grounds for either a total or partial refund of fees. Supporting documentary evidence must be provided at the time of application for refund and the amount of refund will be at the discretion of APSI management. The above refund policy is subject to review as required. Students may lodge an internal appeal against refund calculation by completing a Complaints and Appeals Form. Students must allow 10 working days to process all appeals. APSI will provide a written response to the appeals. If students are not satisfied they may use the Institute’s internal and external appeal process or include an outside party of their choice as their own expense. All fees invoices are available for download via APSI’s student portal, MyWiseNET and it is the student’s responsibility to make sure fees are paid before the due date. 1st week after due date – APSI sends fees overdue warning letter with A$50 penalty fees per week. End of four weeks warning period – APSI issues Notification of Intention to Report notice and student needs to contact APSI within 20 workings days to appeal on the decision. After 20 working days, if the appeal is unsuccessful, APSI will cancel the CoE, report the student to the Department of Home Affairs via PRISMS and issue a course cancellation letter to the student. 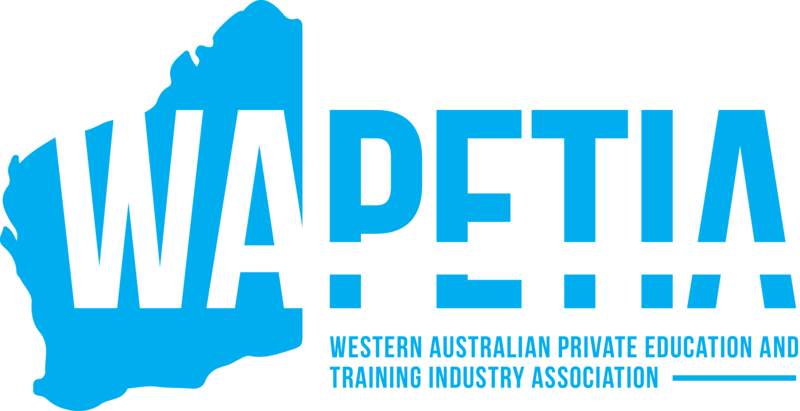 APSI will not continue to offer any training including workplace training or assessments once a Notification of Intention to Report Notice has been issued. APSI will only provide attendance records and work undertaken for the period of time when the student’s enrolment with APSI is current. APSI reserves the right to collect any unpaid fees by using a debt collection agency or by recovering by action in a court of competent jurisdiction. Any costs incurred by APSI to recuperate outstanding fees will be charged to the student. Please refer to the Student Fees page. Students must attend all classes, tests and assessments during the course and abide by the rules stipulated in the student handbook. APSI reserves the right to terminate a student’s enrolment at any stage if the student is non-compliant with college behaviour and code of conduct. Such information is available in APSI’s student handbook. Attempts to forge doctor certificates for attendance records will result in suspension from studies and may lead to cancellation of enrolment. All students must observe the dress code of APSI. All business students must be dressed in acceptable office attire while attending class. All Aged care students must wear APSI red Polo shirt, black trousers and closed flat black shoes with APSI trainee name badge while conducting workplace training in facilities. All hospitality students must wear a white shirt/blouse, black trousers and closed flat black shoes. All cookery students must wear a whole set of chef uniform(including hat and safety shoes) while doing any practical training in kitchen areas. Any student found to be involved in activities, which contravene Australian law will be automatically dismissed from their studies. Under the Data Provision Requirements 2012, Australian Professional Skills Institute (APSI) is required to collect personal information about you and to disclose that personal information to the National Centre for Vocational Education Research Ltd (NCVER). Your personal information (including the personal information contained on this enrolment form), may be used or disclosed by APSI for statistical, administrative, regulatory and research purposes. APSI may disclose your personal information for these purposes to: •	Commonwealth and State or Territory government departments and authorised agencies; and •	NCVER. Personal information that has been disclosed to NCVER may be used or disclosed by NCVER for the following purposes: •	populating authenticated VET transcripts; •	facilitating statistics and research relating to education, including surveys and data linkage; •	pre-populating RTO student enrolment forms; •	understanding how the VET market operates, for policy, workforce planning and consumer information; and •	administering VET, including program administration, regulation, monitoring and evaluation. All students must supply the most current contact details including address, telephone numbers and email address to APSI during the enrolment. Student can login to student portal – Mywisenet via APSI’s home page to update such information or inform student services via email. No responsibility will be taken by APSI for any information that students may not receive due to the change of address and telephone numbers. Applications for course credit based on Recognition of Prior Learning (RPL) or Credit Transfer (CT) or Mutual Recognition (MR) should be submitted at the time of application. Course credit may be granted based on skills and education that a student has already acquired from another provider or other appropriate courses in Australia or in other countries. A course credit/RPL application form is available from student services. There is no fee for Credit Transfer and there is an application fee for RPL application. Credit Transfer will only to be granted where it can be shown that the student has successfully completed the same unit with the same unit code and unit description from other RTOs in Australia. Any reduction in course fees as a result of course credit will be credited towards the last payment. A notice of the result will be sent to the student’s email. All students must meet the minimum numeracy and literacy requirements for entry into APSI. For those students whose first language is not English, they are required to provide proof of English language proficiency. Language literacy and numeracy (LLN) test can be conducted at APSI prior to enrolment. If it is revealed that the English language skills are insufficient, the student will be required to enrol at their own expenses in an approved ESL course prior to the commencement of studies at APSI.